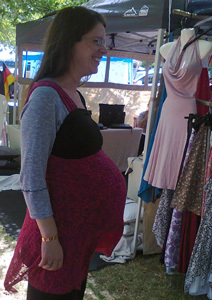 The dress falls to accomodate your changing shape during and after pregnancy. There is always a way to provide cover for normal bra straps. Play with yours and send us a photograph. send us a photograph. 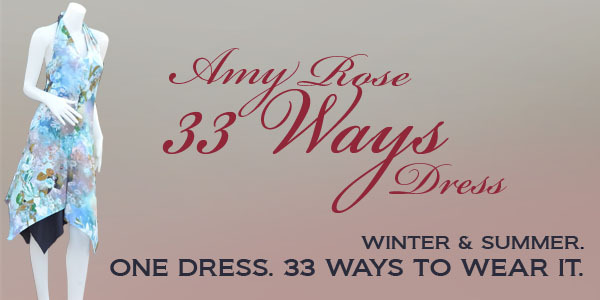 All our 33 Ways Dresses work as pregy dresses, are good for breast feeding and make you feel good in the process. Dresses for tots. Turn them around and they are the classic pinafore style. The 33 styles dress is our own design. 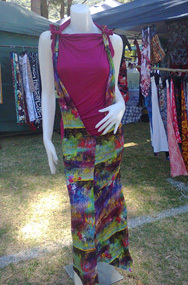 The dresses are super flattering wether you are size 30 or size 46. 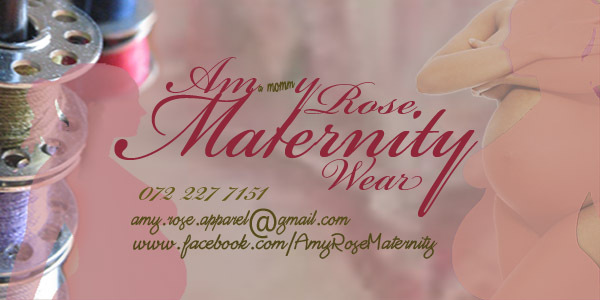 We make kiddies sizes up to size 52. They are designed to be excellent with tummies, and adjustable to your desired length and percentage of coverage. The dress falls so well that you can do a full term pregnancy in the size that you would normally wear. 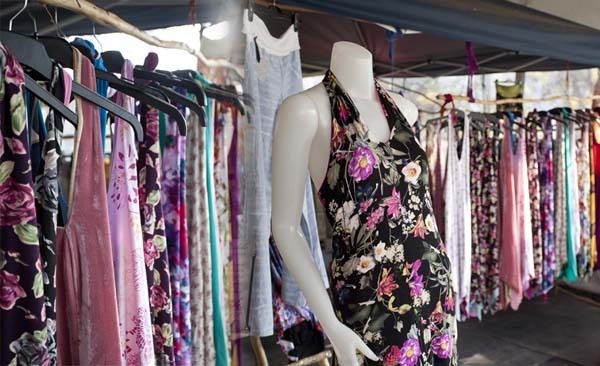 The dresses are excellent for breast feeding and provide 'kangaroo', skin on skin options and have a built in baby carrier. 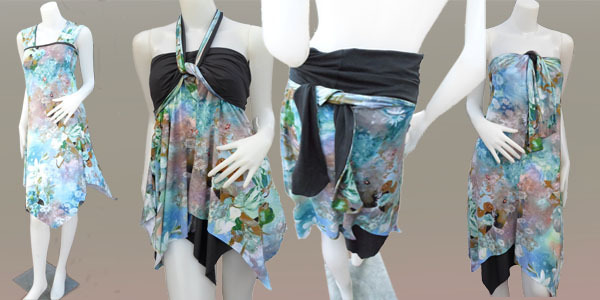 You can chose your own fabrics and combinations.